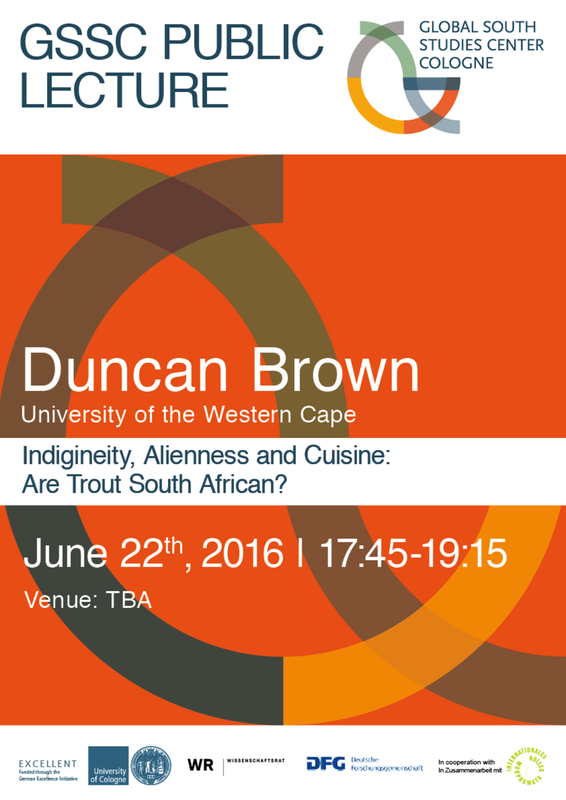 Indigeneity, Alienness and Cuisine: Are Trout South African? Alfred Crosby famously pointed out that human settlers came to the worlds which they colonised not as individual immigrants but “as part of a grunting, lowing, neighing, crowing, chirping, snarling, buzzing, self-replicating and world-altering avalanche”. In the cases of Australia, New Zealand, India, South Africa, Tanzania, Kenya and Zimbabwe, amongst others, within that avalanche were several fish species, including trout, which were introduced to most of these countries in the late nineteenth century. As species, both brown and rainbow are well established in South Africa, and were protected by legislation for almost a century. With environmental debates turning increasingly to issues of indigeneity, biodiversity, alienness and invasiveness, there have more recently been vigorous debates in South Africa and elsewhere as to whether, as ‘alien species’, trout should be allowed to stay or be eradicated, and legislation in this regard has been promulgated. The human-political echoes in these arguments are often eerie and unsettling. 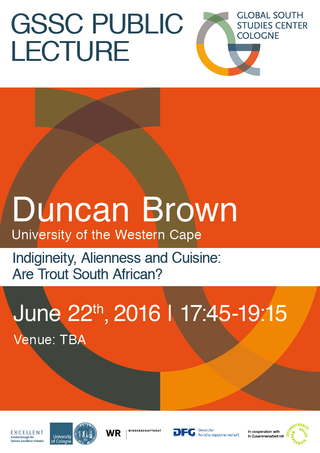 This paper uses debates about the continued presence of trout in South Africa to think through the complexities of conceptions of indigeneity, alienness and identity, and how these are brought into different focus if human social and cultural histories, including debates around about food and cuisine, inflect the arguments.